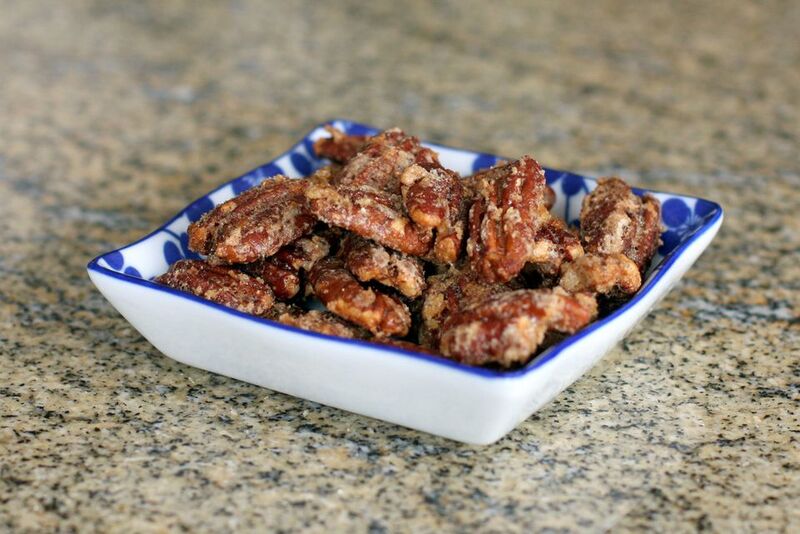 This delicious spiced pecans or walnuts recipe is prepared in a slow cooker. Toss a handful in a fresh salad to give your lunch a boost or snack on them throughout the day. Turn slow cooker to high about 15 minutes in advance. In hot slow cooker, stir together the nuts and butter. Add the powdered sugar, stirring to blend and coat evenly. Cover and cook on high for 15 minutes. Reduce the heat to low and remove ​the lid. Cook, uncovered, stirring occasionally, for about 2 to 3 hours, or until the nuts are coated with a crisp glaze.